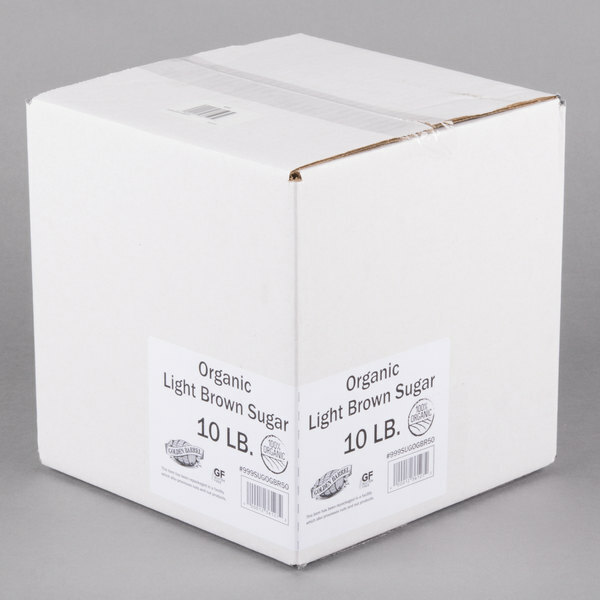 Golden Barrel Organic Light Brown Sugar - 10 lb. Thanks to its perfect blend of cane sugar and sweet molasses, this Golden Barrel organic light brown sugar is great for use as a sweetener in baked items. This organic sugar is an excellent, less-processed, and naturally-sweet alternative to traditional sugars. 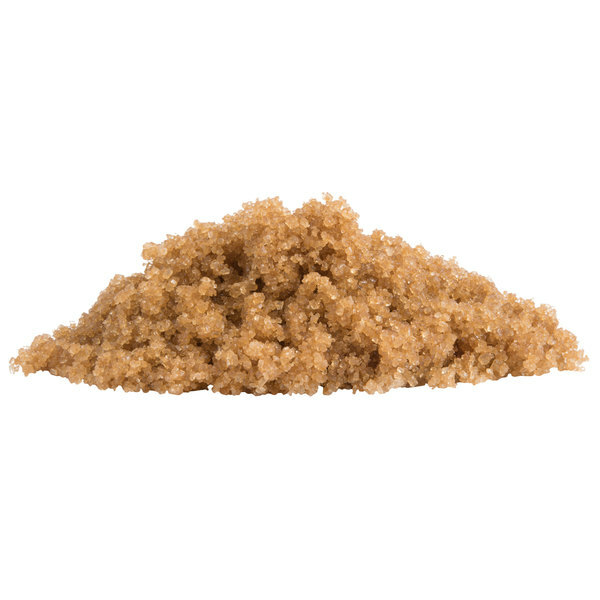 With this bulk brown sugar, you'll be able to bake muffins, coffee cakes, and other pastries that your customers will crave again and again. Light brown sugar has a lower concentration of molasses than dark brown sugar, which gives it a milder flavor with a subtle caramel-like taste. From cooking to baking, to sprinkling atop pancakes or waffles, this brown sugar is sure to be a staple in your diner, cafe, or bakery! It's also a sweet addition to baked beans or sweet potatoes. Use it in syrups, barbeque sauces, or marinades, or play up its crumbly nature by using it as a topping for oatmeal, yogurt, fruit, and cobblers. 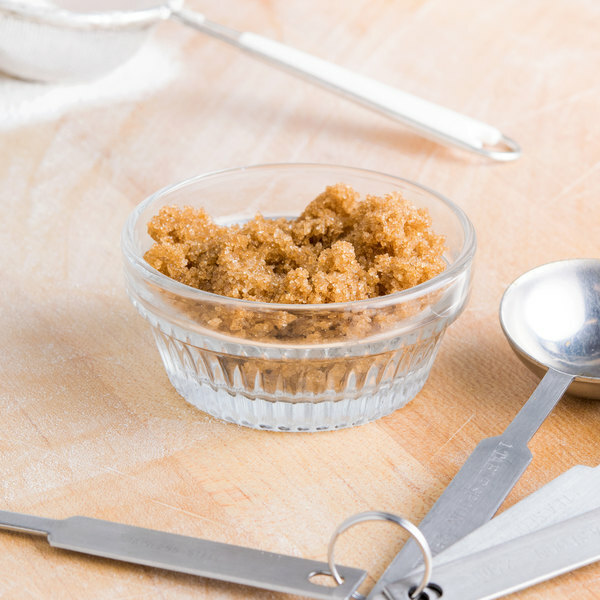 Discover all of the popular recipes you can prepare with this bulk supply of light brown sugar! Overall User Rating: Golden Barrel Organic Light Brown Sugar - 10 lb. Fantastic sugar! It doesn't clump like most sugars. In addition, the flavor of it is exquisite, allowing you to make simple pastries elegant and delicious. This is great brown sugar! Never had a problem ordering or delivering this item. My only complaint is that it doesn’t come with more! It’d be perfect if we could get two 50lbs bags for discount! We have started offering 100 percent organic sweets and love the Golden Barrel organic light brown sugar. The sugar is an awesome quality and tastes wonderful. We ordered this organic brown sugar as we are trying to cook and eat healthier. This sugar is amazing. It is organic so it does not contain harmful chemicals or additives. It tastes just as good if not better than normal store purchased brown sugars. It gives us peace of mind to know that it is a healthier alternative to the processed sugars that are readily available in our area. Thank you. Got it the other day...used it for a few recipes and seemed to be a good balance of soft/wet and dried out. Sometimes the consistancy of brown sugar changes things, and not for the better?! The Golden Barrel organic light brown sugar is great and is the best sugar for making cookies. The organic quality is great and a great find. Golden Barrel Organic light brown sugar allows for organic desserts like cookies, cakes, and pastries to be made. The 10 lb bag is ideal for making smaller batches. Great value! Delicious rich flavor and cane sugar is high in glucose tolerance factor chromium, which helps your body to use insulin more effectively! These 10lbs won't last very long with my family, so I plan to pick up the 25lbs eventually too! The golden barrel organic light brown sugar is good for serving health conscious customers with a gluten-free and organic product. This is great for baking and serving in dispensers for customers to use with their beverages. A great quality organic light brown sugar and at a very good value. The sugar is great for baking and always arrives fresh and clump free. This brown sugar is delicious and for being organic it's a great price. Be aware that it is coarser and darker than most brown sugars, especially those labeled light brown sugar. But it's perfect for our recipes! A great 50 pound bag of organic light brown sugar. 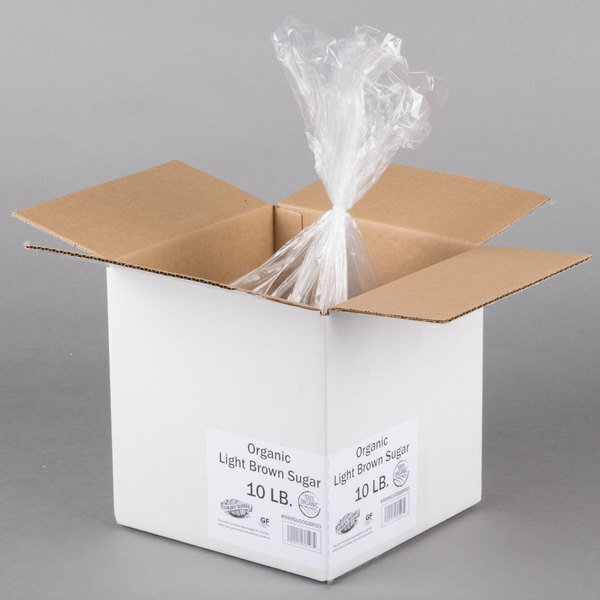 It is very hard to find organic sugar and the fifty pound bag is great for our bakery. This has to be the best deal on organic sugar around. It's great quality, organic, and I like that you can also by the regular sugar as well!